The Sample Yantra shown by me in the image should be prepared on any auspicious Hindu Shubh Muhurat, Tithi, Festival or Astrology Yoga. The Yantra should be prepared on a White Piece of Paper, using a stick of the Guava Tree as the pen and Ashtagandha Paste as the ink. Then as always the Yantra should be sincerely and faithfully worshiped with offerings of sweet smelling flowers and an incense stick and Diya of Pure Cow Ghee should be lit in front of the Yantra. Then the Yantra should be put in a Silver Locket and worn on the Right Upper Hand. 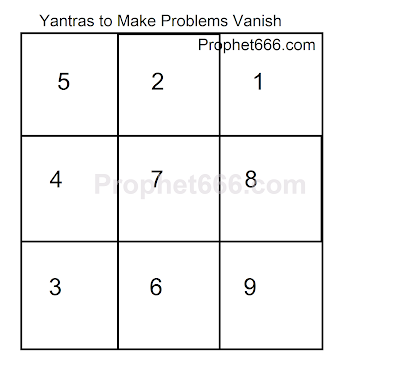 Apart from removing the blockages and problems, the Yantra is said to increase fame, prestige, money or enable to make the user rise in life or get a promotion in the job or a higher position in society. The Yantra, apart from the numerology combination shown in the image can also be prepared using any of the three numerological combination given below, if so desired by the user. post the query on the concerned post as the use may differ from mantra to mantra. Hi Neel Sir, this question is unrelated to above mentioned Yantra but pertains to Yantra Sadhana. That depends on the Vidhi prescribed in that particular Yantra Experiment, please post the question on the concerned post. Navratri has started.What are the mantras that are to be chanted that provide best results during this auspicious period?like Shiva mantras,Ganesh,Hanuman,Laxmi,mantras for attraction wealth etc.pls specify. Special Mantras for Navaratri are published on the site. Neel ji, i wish to use this yantra for my 4 year pls daughter but my husband won't let her wear taveez or locket. Is there an alternative? Once you had posted a yantra which can be drawn on child's hand. Can I do the same here too? Please help. Thank you. 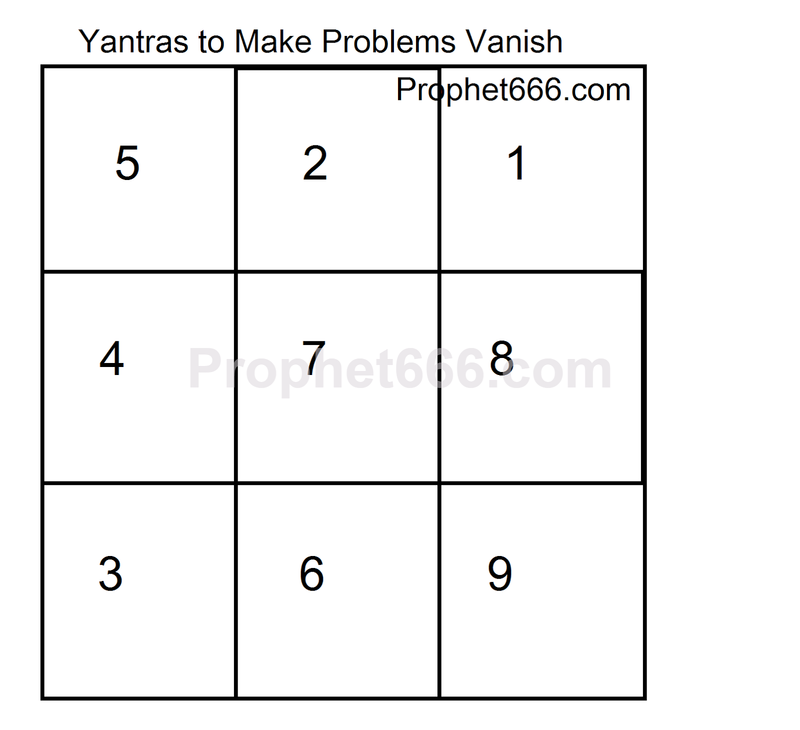 This is a specific Yantra Prayoga and should only be performed as mentioned in the article. Guruji for ladies is it ok to wear the locket around the neck? Ladies can wear the Yantra around the neck. Can we use a black ink or a red ink pen for drawing the above yantra? To all those who asked, this is a specific Tantra and has to be followed, the ingredients are simple to find. This is a general multipurpose Yantra, which can be used for resolving all problems.